Timed to coincide with the Chinese New Year, the capital welcomes a host of events showcasing the vibrancy of Chinese culture past and present. 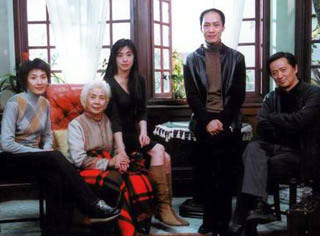 Shanghai on Screen is part of China in London 2006. Shanghai has long been the centre of China’s film industry, and is increasingly being cast in a central role as a location. While it is the gleaming, futuristic skyscrapers that catch newspaper headlines, directors have been keen to explore the city’s past, its mysteries and the crises and contradictions of its recent history. Shanghai on Screen (8 - 15 February) celebrates the city and its cinematic heritage, from the 1930s to the modern day. Recent features such as Suzhou River, a love poem to Shanghai, sit alongside rarely screened classics such as Myriads of Lights. This black and white film from Shanghai cinema’s second golden age portrays the brief period between victory over the Japanese in 1945 and the formation of the People’s Republic of China in 1949.